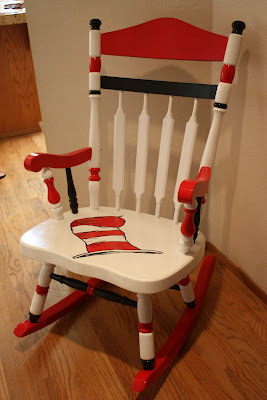 I recently finished painting a $20 rocking chair I found at the thift store. I am so excited to have a rocking chair for my library area. Although it didn’t turn out exactly how I imagined, I still thinks it’s cute and it adds a pop of color to my class. Thoughts? I need a rocking chair. Maybe one day. Until then I guess I will keep blog stalking. I love the ideas you share and find I am equally obsessed with Pinterest. 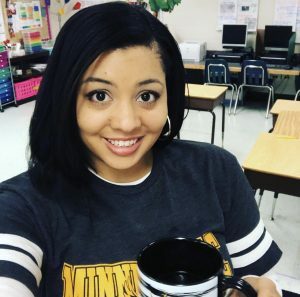 I picked you as one of my Top Ten Blogs. Love it!! Im curious too if you spray painted, and if yes in what order did you do the colors?? I absolutely love it!! I have been on the lookout for a chair to re-do like that! It's beautiful! I'm inspired to decorate my own. It's well over 30 years old. I bought it when my 31 year old was a baby, and the chair was old then!! Thank you for sharing! 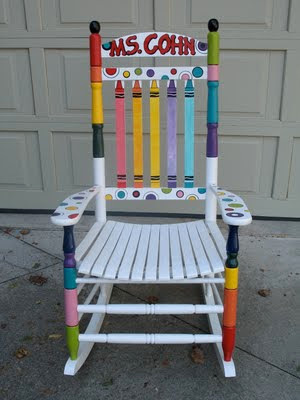 I have a rocking chair my husband got for me at a garage sale this summer, but I have yet to transform it. Did you use spray paint? So cute! I found a great rocking chair at a thrift store, too, for $25. I'm going to get my mom to help me make it cute. 🙂 I'll be saving your pic for inspiration!